Your day begins with a 9am pickup from your hotel in the central Tokyo area. Board the comfortable vehicle and settle in for a journey of about two hours to Nikko. This private tour is fully flexible and can be customized according to the interests of your party. If you have chosen to include a local guide, be sure to ask for some tips on where to go. Toshogu shrine: This UNESCO World Heritage site was built in 1617 as the mausoleum of Tokugawa Ieyasu, founder of the Tokugawa shogunate which ruled Japan for over 250 years. Nikko Edomura: Also known as Edo Wonderland, this theme park offers insight into life during Japan's Edo period of 1615 to 1868. Kegon waterfall: This 318-foot (97-meter) waterfall is ranked as one of Japan's three most beautiful falls. Sake brewery: You can visit a sake brewery and take a tour of the facilities; learn about the production method, and sample a few varieties. 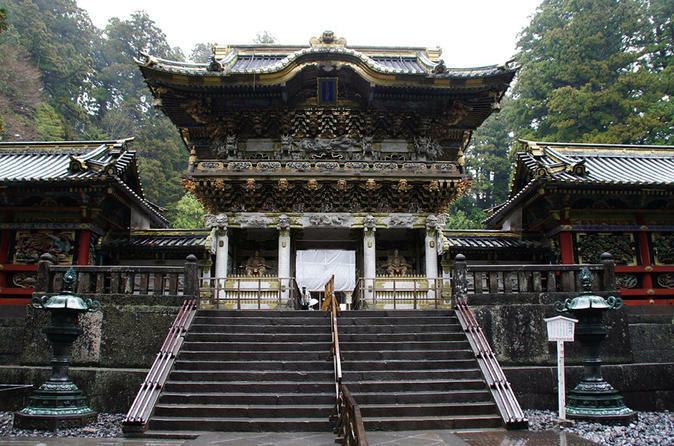 After around 5 hours' exploration of Nikko, your tour concludes with a drop-off back in central Tokyo at around 4pm. Special Offer - Book by September 15, 2016 to save 10% off our previously offered price! - Book Now!